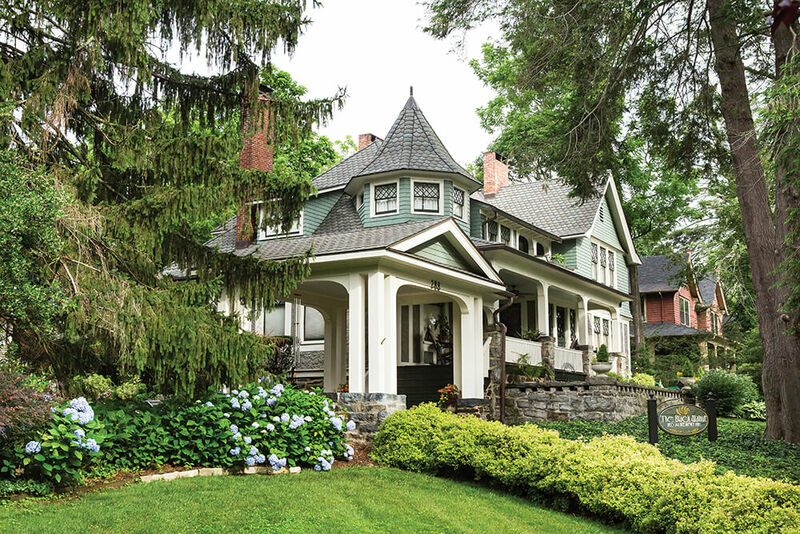 Feature image, above: The 1900 Inn on Montford displays some of architect Richard Sharp Smith’s favorite features: curved “Montford brackets” on a deep porch, plus a dramatic type of stucco known as pebbledash. 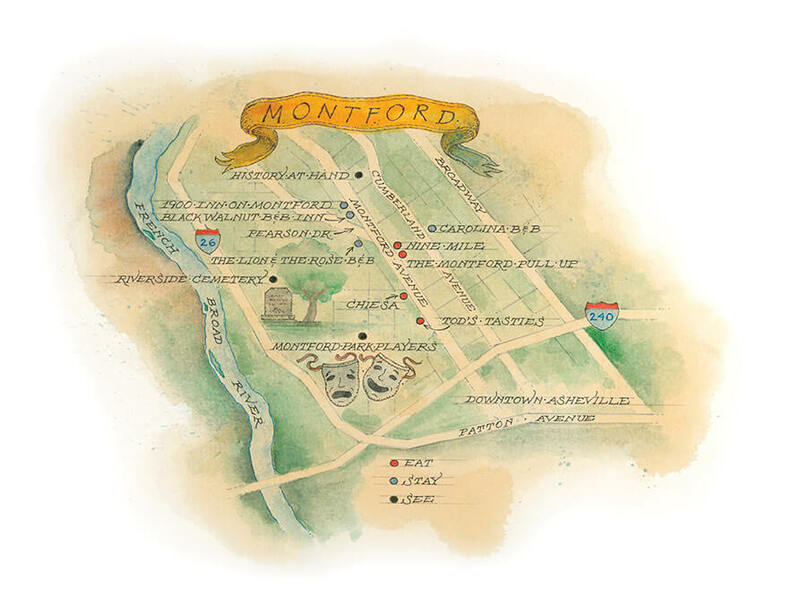 The story of Montford, like so much of Asheville, is one of booms, busts, and rebirths. Beginning in the late 1800s and continuing through 1925, houses in this neighborhood went up in quick succession. In the twilight years of the Victorian era, the architecture reflected both the ornate details popular during that period and the cleaner lines of the new Arts and Crafts movement, as well as Neoclassical and Colonial Revival influences. Many of the best-known houses were designed by Richard Sharp Smith, supervising architect on the Biltmore House, who was a master of mixing styles. As diverse as the houses they lived in, the residents were black and white, doctors and teachers, businessmen and ministers — the middle-class engine of a thriving mountain city on the rise. Until it wasn’t. During the Depression, affluent families began moving to the suburbs. Some houses were left vacant. After a developer demolished a Victorian house in the wee hours of an April night in 1979 — a house that the Preservation Society had been trying to save — residents banded together to protect the rich history of their neighborhood. People began opening bed and breakfast inns and restaurants, and young families moved into the houses. 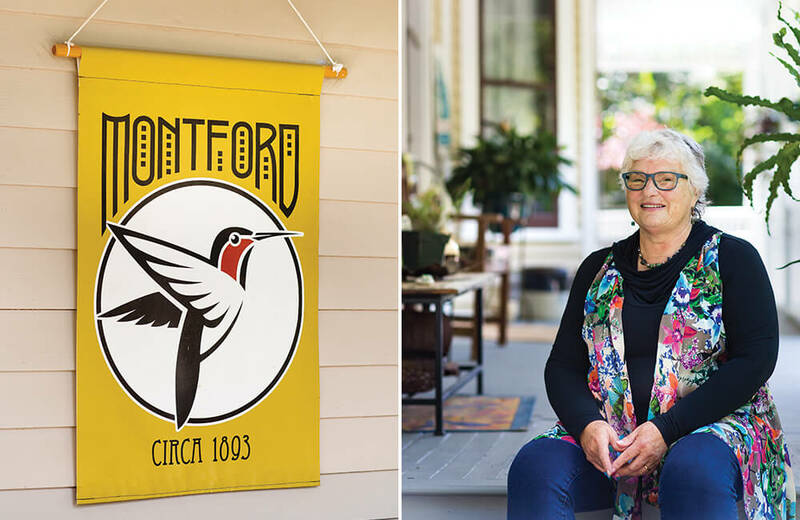 Today, Montford benefits from and contributes to the city’s renewed popularity, and its houses, still standing, are once again filled with life. 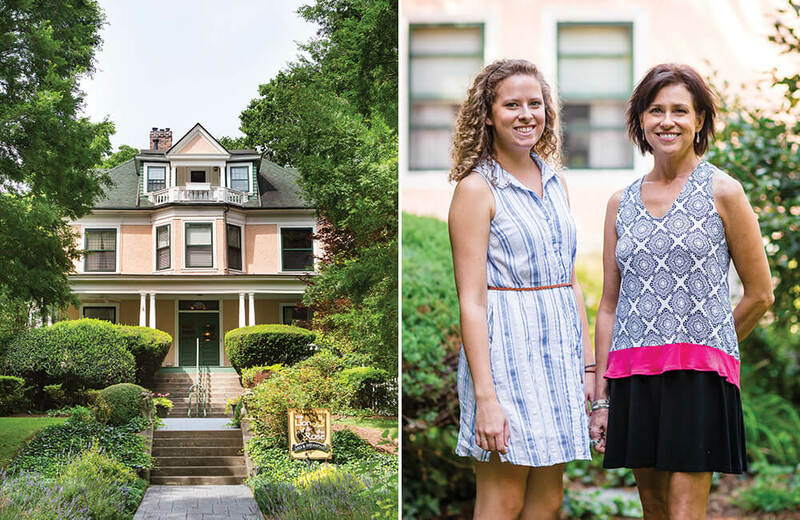 (Above, clockwise from bottom right): Innkeepers like Lisa Merritt (right) and her daughter Madelyn Silcox of The Lion and the Rose, like their next-door neighbors at the Black Walnut, help preserve the history their houses hold. 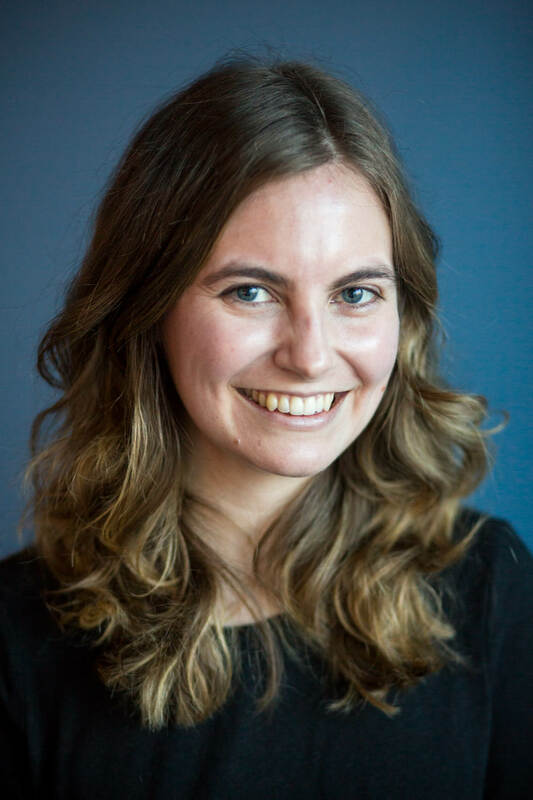 Photos by Tim Robison. 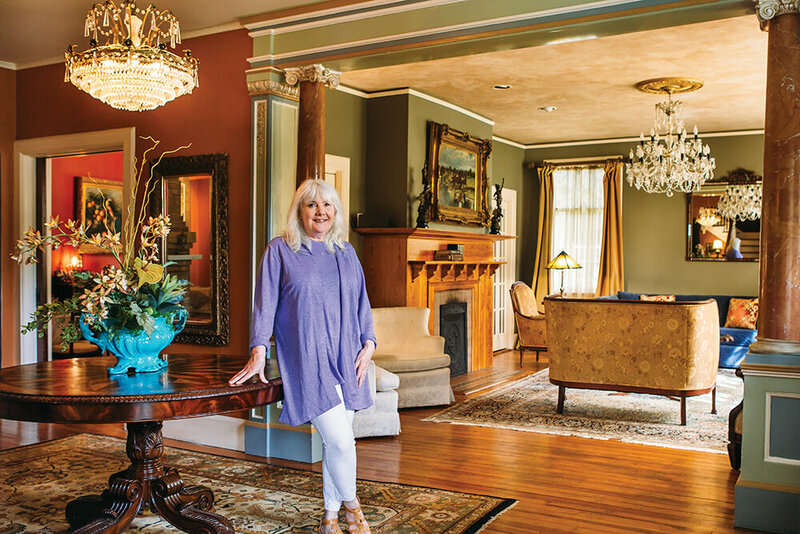 “An inn does take on its owner’s personality,” says Lynn Carlson, co-owner of the 1900 Inn on Montford. 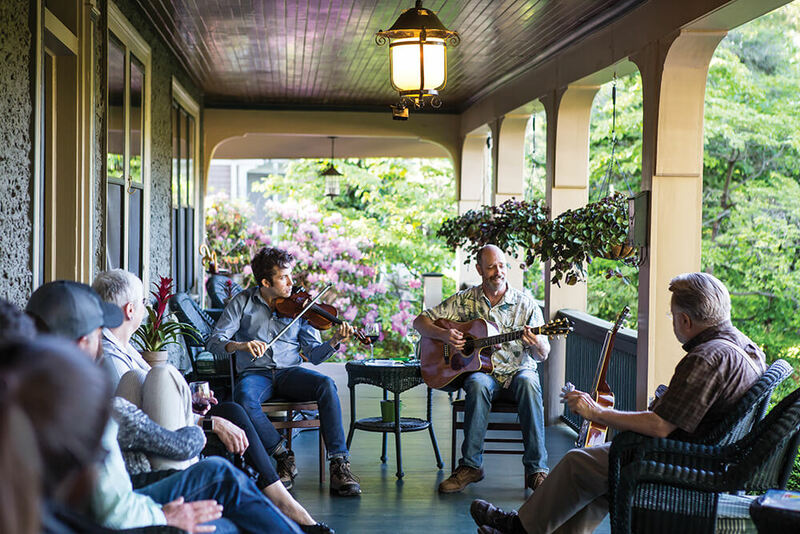 For Lynn and her husband, Ron, who have always loved entertaining and live music, that means weekly jam sessions on their spacious porch. Every Saturday, Ben Scales (on guitar) rounds up a merry band of musicians, and guests gather to hear tunes floating in the evening air. Back in 1996, when the Carlsons first stepped into the foyer, they were captivated by a stone hearth lit by a glowing fire. That universal symbol of warmth and welcome set the tone for 20 years of hospitality, and inspired this porch fit for a party. Beautiful flowers and shrubs surround the charming yellow Carolina Bed and Breakfast, designed by Richard Sharp Smith in 1901. But the real showstopper is the lush garden out back, where a stone walkway passes a cottage, a koi pond, and flower beds that bloom for nearly every season. Susan Murray (wearing green) and her husband, James (far right), spent 27 years living overseas before purchasing the Carolina in 2009. 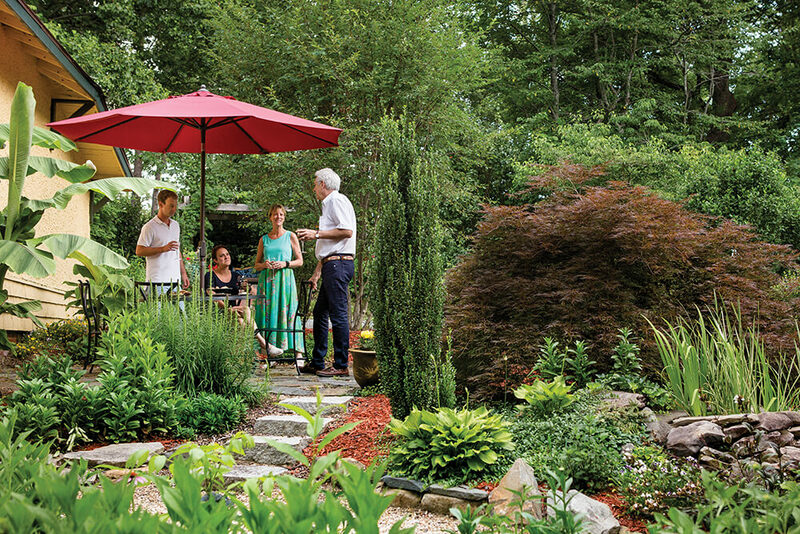 When they moved to Asheville, they brought with them pieces of their lives abroad, especially lessons from their gardener in England. Mr. Green (really!) taught Susan how to tend the herbs, tomatoes, and radishes she uses in her cooking for the inn. When it came to the cottage garden, though, Susan had some extra help: Landscapers threw wildflowers over their shoulders to grow wherever they landed, creating a North Carolina-style English country garden in all its random, rambling glory. Among Montford’s homes and inns, a handful of restaurants offer diverse and delicious options for breakfast, lunch, and dinner. 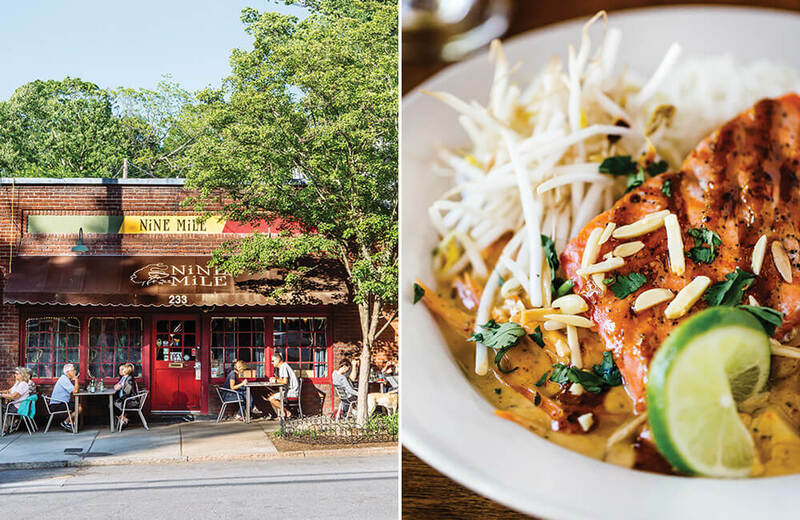 From the outside, Nine Mile looks like an old-fashioned neighborhood pub, but its menu overflows with inventive, Caribbean-inspired dishes, like the “Soul Rebel” (opposite), featuring grilled salmon in a coconut curry sauce. The convenience store next door, Montford Pull Up, creates gourmet sandwiches behind a hidden-gem deli counter; down the street, locals head to Chiesa for Italian, and Tod’s Tasties for coffee and local, seasonal fare served on a sunny patio. On the edge of the neighborhood, famous and ordinary folks rest side by side in hilly Riverside Cemetery, founded in 1885. 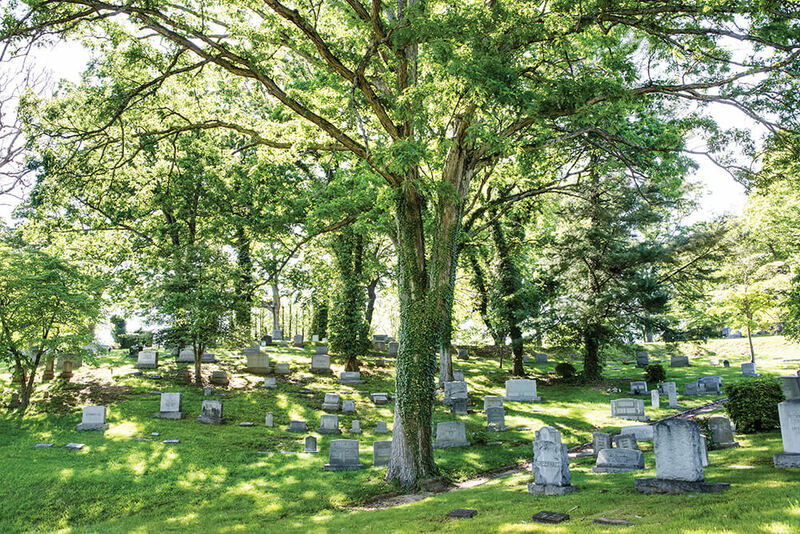 Predecessors to modern public parks, Victorian garden cemeteries like Riverside were elegant spaces for both the dead and the living, with winding paths, shade trees, and, in Asheville, mountain vistas. Today, visitors wander among the graves of architect Richard Sharp Smith, Gov. Zebulon Vance, composer Lamar Stringfield, and many more. 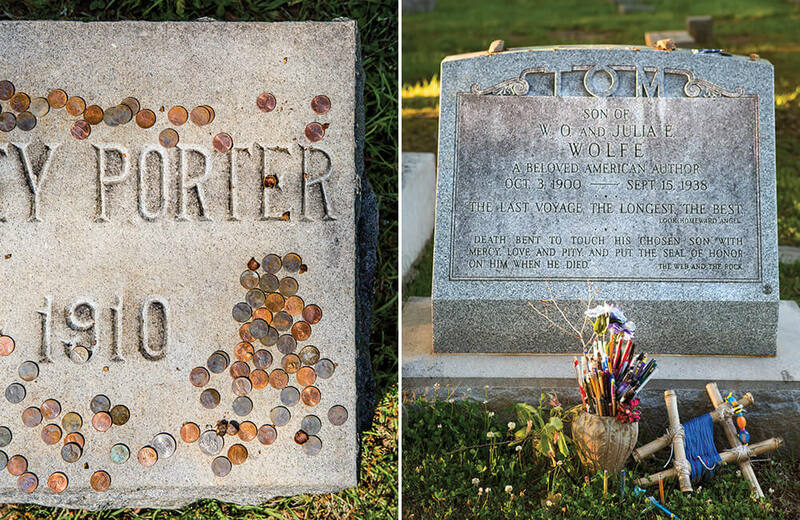 Two of Riverside’s most famous residents — writers Thomas Wolfe and William Sydney Porter, better known as O. Henry — often receive small mementos: pennies for O. Henry, whose short story “The Gift of the Magi” opens with the lines, “One dollar and eighty-seven cents … And sixty cents of it was in pennies.” And for native son Thomas Wolfe, who memorialized Asheville in the pages of his novels, no offering could be more appropriate than the tools of his trade: an urn full of pens. Asheville was the first city in the state to build an electric streetcar system, and the trolley line down Montford Avenue was a huge boost to the neighborhood’s appeal. Today, the tracks are long gone, but Gray Line trolleys still make daily trips through Montford. At the Hazel Robinson Amphitheater, members of the Montford Park Players, including (left to right) Ryan Martin, Grace Derenne, and Gary Freedman, perform classic plays like The Taming of the Shrew in the open air. 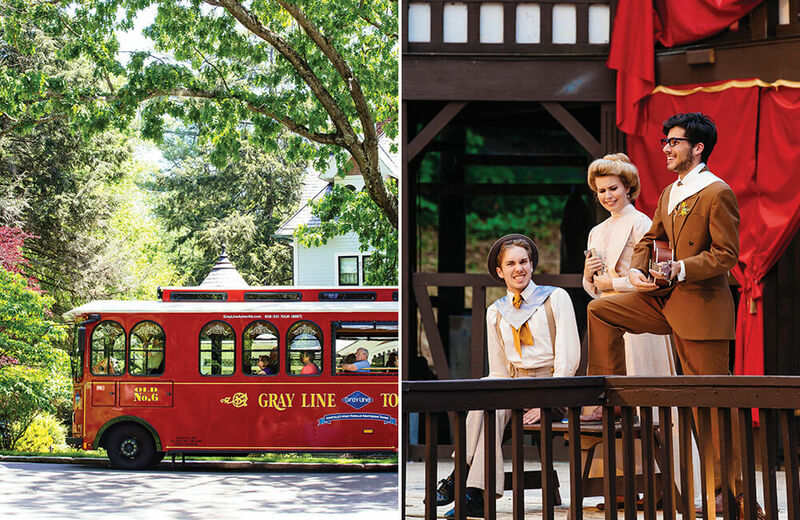 Founded by local theater legend Hazel Robinson in 1973, the troupe is a beloved Montford tradition. 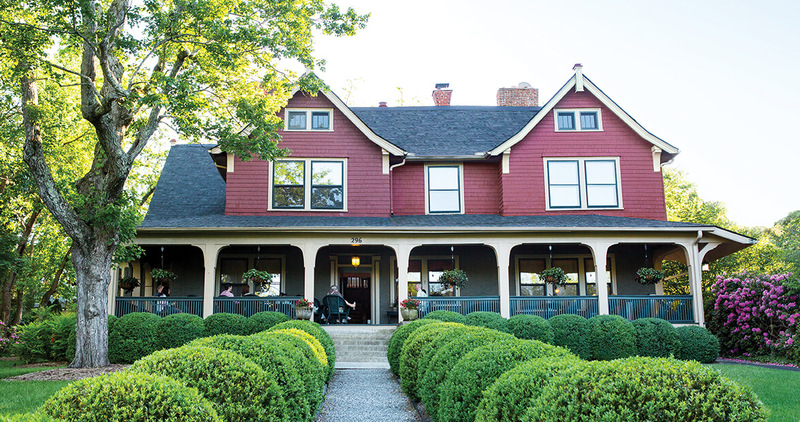 Learn about some of the bed and breakfast inns mentioned in this story and more at ashevillebba.com.